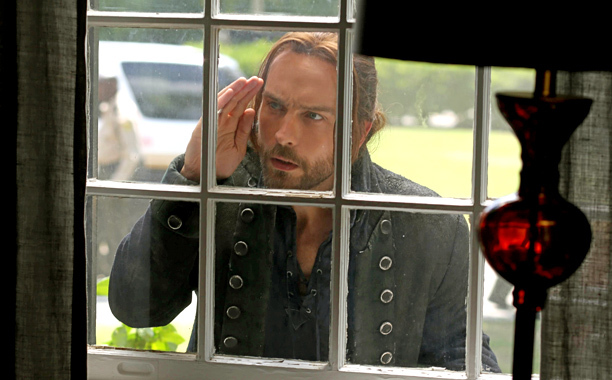 Sleepy Hollow‘s “monster-of-the-week” format is, much like it’s thematic cohort Supernatural, a bit of a hit-or-miss. While last week’s cursed coin adventure managed to keep Sleepy Hollow‘s momentum going by delivering a fun tale that tied in personally to the lives of the characters, “Go Where I Send Thee…” falls a bit flat. It’s personal spin – that the kidnapped girl is the daughter of Abbie’s caseworker – is nice, if not particularly relevant. But it’s overall plot doesn’t register as one of Sleepy Hollow‘s most memorable. The skinny of it is that a Pied Piper is in town to enact an age old family curse that allows him to lure out and sacrifice a ten-year-old girl to make his bone flutes with, lest he cast a plague on the rest of the family’s children. It’s certainly a creepy story, especially since the current matriarch of the family must make a sadistic choice between her daughter and her three adopted children. But there’s little to no question as to whether the girl will make it, nor is there a wealth of originality to grab attention. Still, I’ll give Sleepy Hollow this. It always manages to tie in it’s stand-alone episodes to the plot in some manner. As silly as it is for every isolated supernatural event to happen in a single town, knowing that their appearance is directly helpful to Henry and Moloch makes it a little more believable. The apocalypse may be put on the back-burner sometimes, but it’s never forgotten about. And at the end of every adventure, whether it directly relates to Moloch or not, I feel as if Ichabod and Abbie have made progress. Ichabod and Abbie are as united in their partnership as always, but their alliance with Nick Hawley isn’t as solid. I’m not sure I really care much for Hawley. He’s a copy-paste of every morally questionable white hero out there, though I applaud the writers for allowing him to stick to his self-serving convictions instead of seeing the error of his ways. I do love his relationship with Ichabod. Ichabod’s old-man grumpiness is one of my favorite aspects of the show, and his overblown hatred of Hawley (not without its merits but exaggerated all the same) is incredibly amusing. Much like his beef with Benjamin Franklin, Ichabod’s irritation at Hawley’s mere presence fits in with Sleepy Hollow‘s campy tone. 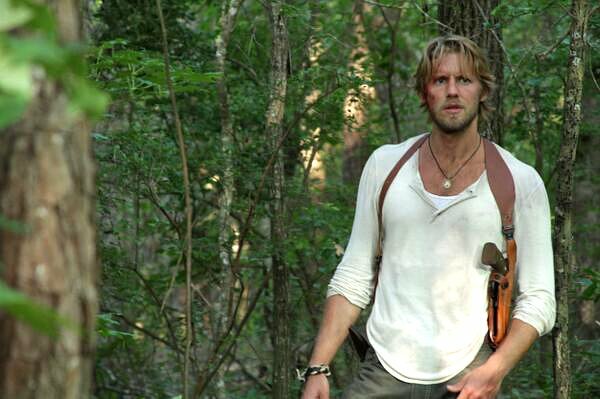 Nathan Drake called, he wants his collection of Henleys back. Ichabod and Abbie’s (especially Abbie) hyper-competence continues to astound me. When they first encounter the Pied Piper, they’re disoriented by his various sound-emitting weapons. So the next time they meet him, they use noise-cancelling earbuds. It’s the kind of common sense that would be stupidly overlooked on another show, but Ichabod and Abbie actually think their actions through (most of the time) and make logical decisions based on their conclusions. The day I stop being excited about characters who actually talk their plans through is the day I’ll stop mentioning it. But that day is not today. “Go Where I Send Thee…” is light on Jenny, Katrina and Henry, but Irving comes to realize the consequences of unknowingly signing a contract with the Horseman of War. A flash-forward reveals a glimpse of Irving as a servant of Hell, and I wonder if he’ll be able to get out from under Moloch’s thumb in a way that Brooks never could. Irving has proven himself emotionally resilient, so for now I won’t worry about his long term allegiances. Overall, “Go Where I Send Thee…” doesn’t exactly kickstart the plot, but it does introduce another source of mystery. as Henry buys the defeated Piper’s flute from Hawley and crushes it into a powder. Who knows what he wants to use it for, but it’ll undoubtedly be for a sinister purpose. Images are copyright of FOX.